As a college student working at a veterinary hospital, I met and fell in love with a blind Tabby cat named Mr. Magoo. When I adopted him I was amazed at how shockingly normal he was – just like any sighted cat. The founders of Blind Cat Rescue & Sanctuary in St. Pauls, NC were inspired to open a refuge for these special kitties by their own similar experience. Alana Miller and her daughter met Louie while volunteering at their local shelter and found that much like my Mr. Magoo, he could run, climb and play like any other “normal” cat. Soon they found themselves taking in a second, third and fourth blind kitty. Miller officially launched the 501(c)3 non-profit rescue and sanctuary in 2005. All of the kitties that have found their home there were either rescued from shelters where they faced euthanasia, or taken in from owners who found themselves unable to care for their pets. Blind cats compensate for the loss of their sight by curling their whiskers forward to help them sense upcoming objects – much like a blind human would use a cane. Their hearing also tends to sharpen, allowing them to use auditory cues to interpret their environment. There are many causes of blindness in cats – heredity, glaucoma, cataracts, and progressive retinal atrophy can affect older cats, while kittens often lose their sight due to untreated viral infections. Many shelters euthanize these animals due to their “special needs” status and decreased likelihood of finding homes. In 2011 Miller and her team added a second building to the sanctuary to house another group of endangered special needs cats – those with Feline Immunodeficiency Virus (FIV) and/or Feline Leukemia Virus (FeLV). Both diseases are transmissible to other cats, prompting shelters to euthanize animals rather than risk them infecting others. Blind Cat Rescue offers them refuge and care for as long as they are healthy and have a high quality of life. The kitties at Blind Cat Rescue & Sanctuary have finally found a forever home where they are cherished for who they are. Click here to meet the cats and here to learn about becoming a sponsor or donor. You can also follow these handi-capable cuties through photos and live-streams on Facebook. Featured Images via Facebook/Blind Cat Rescue & Sanctuary, Inc. 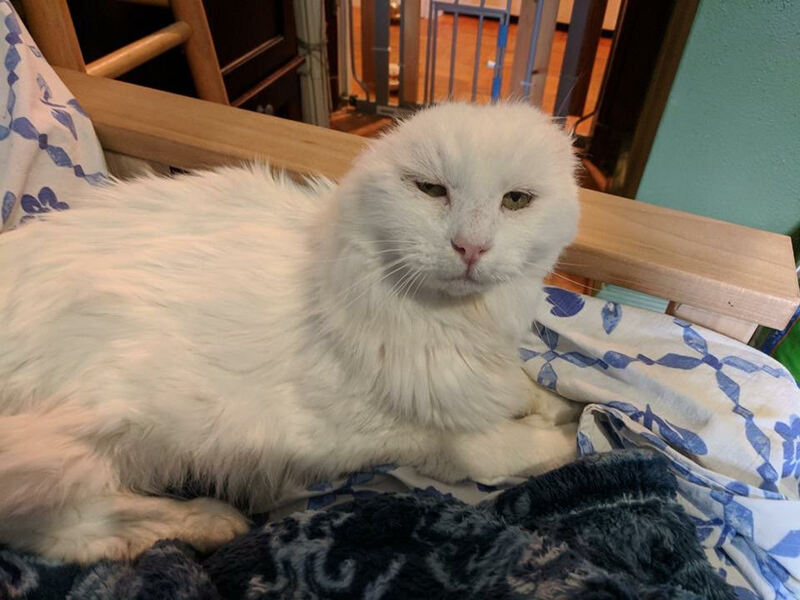 Rescue Cat Lost His Ears, But Gained A Family Full Of Special Needs Cats!